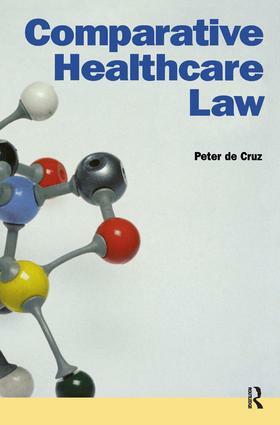 This book provides a comparative and accessible analysis of key areas of healthcare law, comparing English law with selected common and civil law jurisdictions within a framework of law and medical ethics, and encompassing pivotal cases, codes and legislation. The introduction examines medical decision making, and legal and ethical frameworks in Western and non-Western cultures. Part I examines healthcare law in England and Wales, including abortion, consent, confidentiality, children, euthanasia, persistent vegetative state patients, organ transplantation, sterilisation of the mentally incapacitated, surrogacy, UK cloning proposals and the landmark conjoined twins case. Part II covers non-English common law jurisdictions such as Australia, New Zealand, Ireland and certain American jurisdictions. Civil law examples focus on France and Germany, and, where appropriate, Scandinavian countries. International perspectives on abortion laws and euthanasia are also provided. The book concludes with a comparative overview, which highlights common healthcare themes across various jurisdictions. Comparative Healthcare Law brings together information never previously accessible within the covers of one volume, making this unique book indispensable for scholars and practitioners in the field of healthcare law.